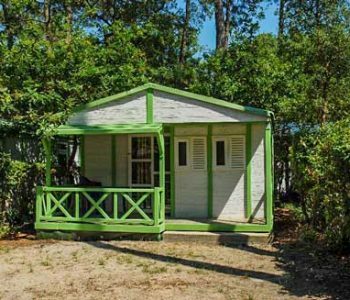 Looking for an unusual rental camping in the Landes, near Hossegor and Capbreton?  The 4-star campsite Lou Pignada welcomes you in a preserved natural setting and in a warm atmosphere. 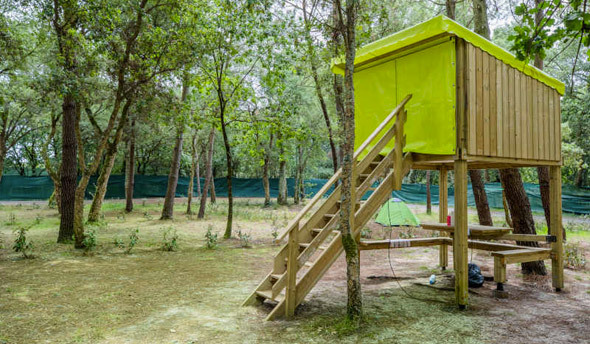 Adepts of traditional camping, you will find in our establishment cabins and tents campétoile. 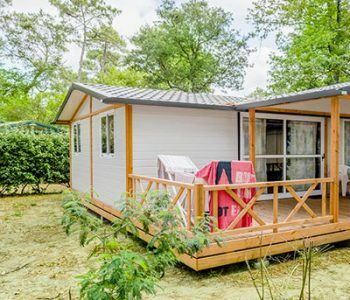 The campétoile hut, just arrived at the campsite, is an intermediate accommodation between a chalet or traditional mobile home and a night in tents. 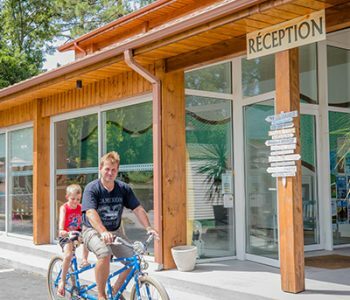 It is a simple accommodation, practical, fun, close to nature and stars, ideal for the stages of traveling travelers (hikers, bikers, cyclists, etc.) or for visitors wishing to stay with the family for the night. The Campétoile tent, just arrived at the campsite, is an intermediate accommodation between a cottage or traditional mobile home and a night in the tent. You will be seduced by these typical shelters which allow to live in the fresh air. 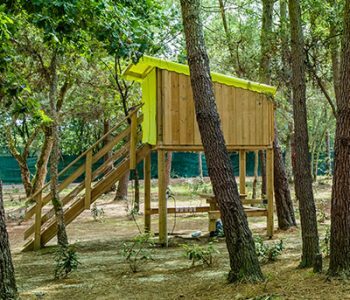 Did you know that when you stay at Lou Pignada, you may inaugurate a new form of tourism: glamping? 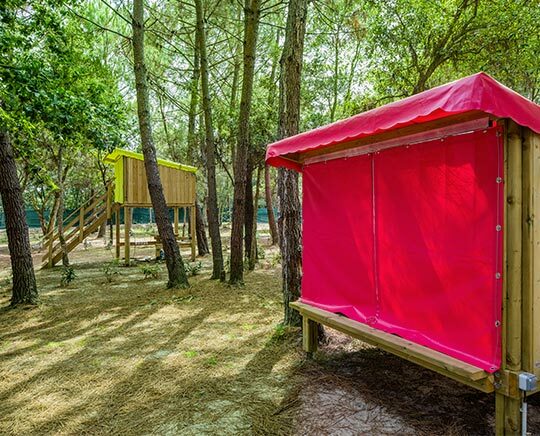 Glamorous and bohemian camping, here is a new holiday concept, based on accommodation that offers a disconnect and a perfect symbiosis with nature. The promise of camping? Make you reconnect with your childhood dreams, past emotions, search for new sensations, but above all, make you live a new holiday experience. So ready to let you tempted by a slow motion and totally anchored in the present moment? Look no further, your happiness is here in the Landes, come and discover the Landes culture and its traditions, a Girondin territory, strong in character that has not finished to impress you.